Above: A.J. Robinson (left), Maria Saporta and Matt Bronfman share the spotlight at Ponce City Market on Dec. 8. Inside and outside the Perimeter, we all need Atlanta to keep thriving, according to an expert Jewish panel. Without Atlanta, “we’re Mississippi,” said Maria Saporta, the dean of Atlanta business reporters, who grew up in the city. “We’re not even Mississippi,” said A.J. Robinson, the president of Central Atlanta Progress. They joined Jamestown CEO Matt Bronfman on the panel, facilitated by WSB-TV reporter Aaron Diamant and hosted by Bronfman’s company at its signature Midtown development, Ponce City Market. Robinson said young adults and families are moving back into the city because of the appeal of dense, walkable development. “The urban core is doing density, and I think it’s changing us in an incredible way,” he said, adding that he thinks most of those singles and couples will stay in the city while raising schoolchildren. 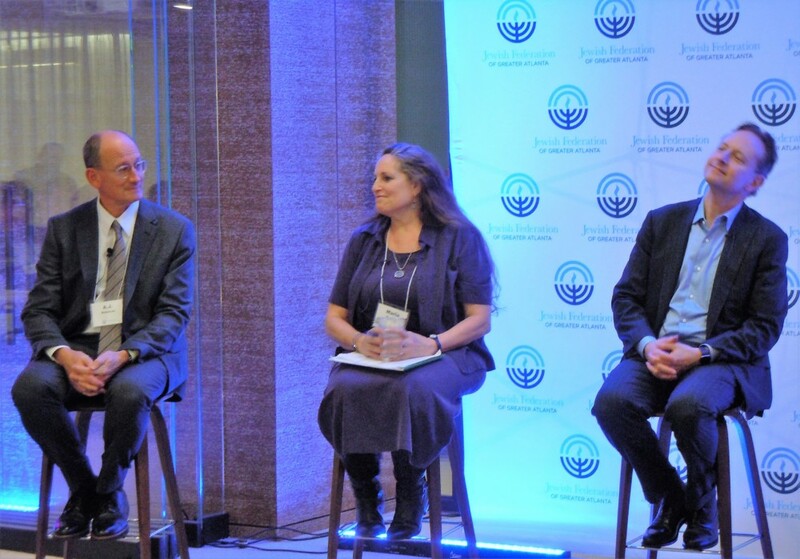 About 100 people attended the event Thursday, Dec. 8, organized by the Jewish Federation of Greater Atlanta’s Business & Professionals Division one week before the end of Federation’s 100-day campaign. The setting was significant. Bronfman said Ponce City Market is an example of the “interesting projects” Atlanta needs to keep young professionals moving into the city, and Robinson said the mixed-use project along the BeltLine has set the standard for the vibrant, innovative atmosphere in Midtown. Other challenges include affordable housing (Bronfman suggested incentives for developers); development south of Interstate 20, particularly Southwest Atlanta (Robinson said some gentrification is necessary to draw much-needed investment capital); the school system (Robinson and Saporta said Atlanta has long relied on transplants to raise the population’s education level); and traffic and transit. Atlanta transportation is “an ongoing crisis that just doesn’t seem to end,” Robinson said. But he sees reason for hope in the rapid changes in Gwinnett County, which he expects to vote for a MARTA extension. Once Gwinnett embraces rail transit, the dominoes could fall in North Fulton and even Cobb County, he said. Those areas will just be a decade or more behind the central city. 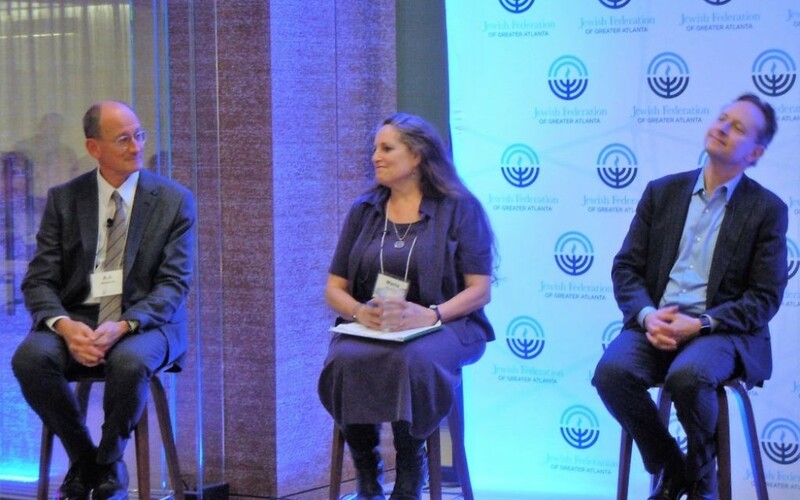 The challenge for the Jewish community is providing the services needed by the young professionals and families settling intown after generations of Jewish flight into the northern suburbs. Most synagogues, the Marcus Jewish Community Center, and Jewish Family & Career Services are well outside the Atlanta city limits. Bronfman said the traditional Jewish model of the synagogue and Federation doesn’t appeal to millennials.